If you haven't yet seen Pinterest, you can join nearly 200,000 others following us already for landscaping inspiration. 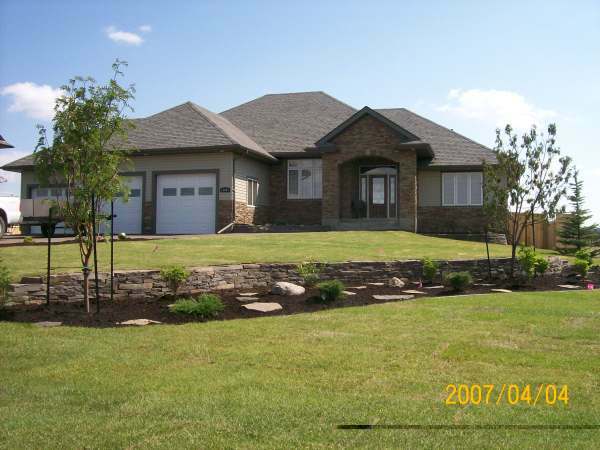 We have over 16,000 landscaping pictures categorized on over 80 different board including more front yard landscaping ideas. If you are new to Dream Yard, you can check out over 200 pages of helpful information by clicking on our sitemap. 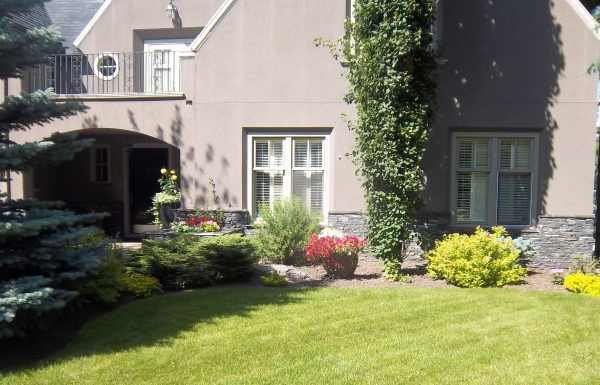 A large block stone retaining wall extends the entryway to include a small garden bed in this front yard. 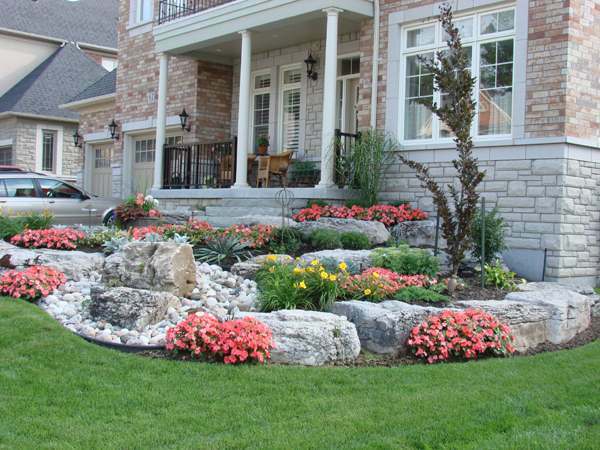 This low maintenance front yard has a simple design and great colours to compliment the stone facing in the house. Remember that your design will show your sense of taste and style, and is seen by everyone that walks or drives down the street. Fundamentals of proper design should usually be followed for a more formal and balanced look to achieve curb appeal. However, you can still personalize your yard to have a character and charm that sets you apart. 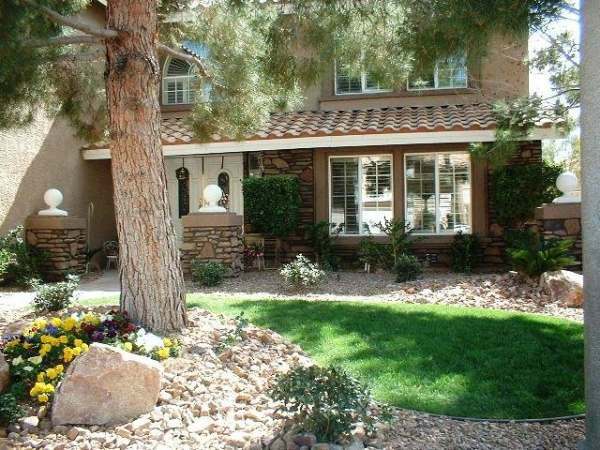 These front yard landscaping photos will hopefully give you some inspiration for your dream yard. You can also view our pictures on driveway landscaping ideas for more related suggestions. Small front yard landscaping idea with almost no maintenance required. This rock garden was designed with all native rocks, trees, and plants. 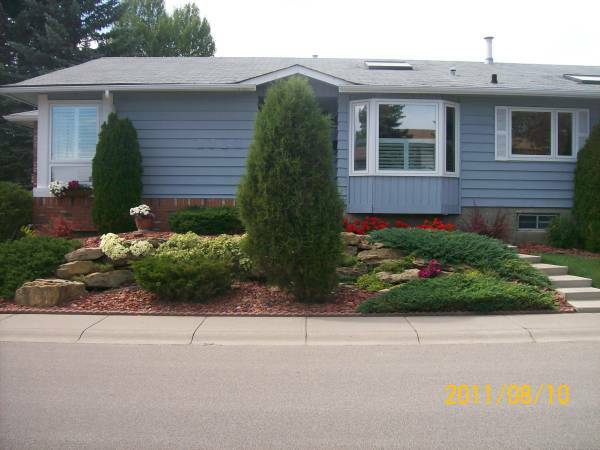 A simple yet beautiful front yard landscape design with low maintenance mulched garden beds. The area under the large tree is also mulched as a practical solution over struggling to grow a lawn. Side yard entrances are common on corner lot houses. 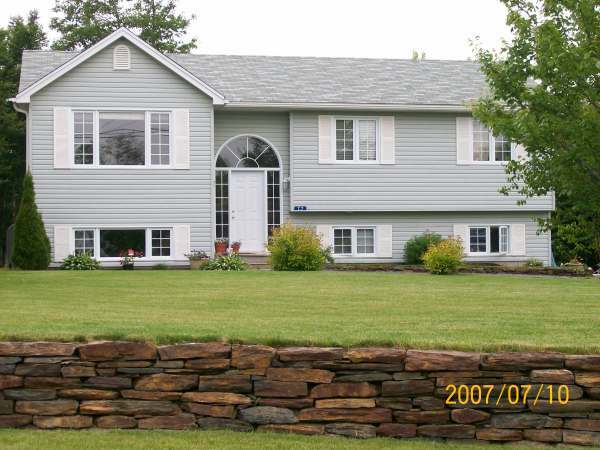 This owner has created lots of interest on this small slope with a stone wall. 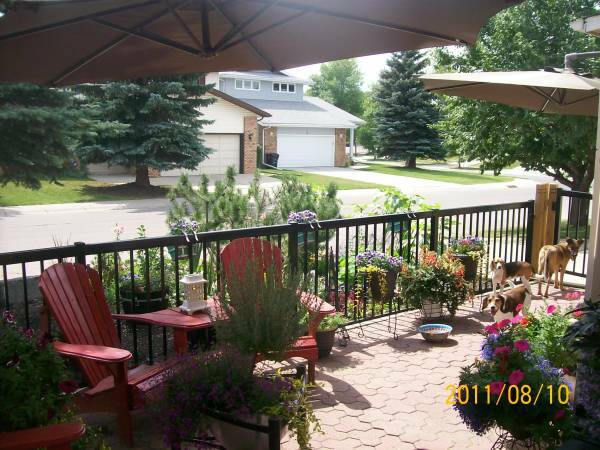 The area is inter-planted with perennials, evergreen shrubs, and trees. 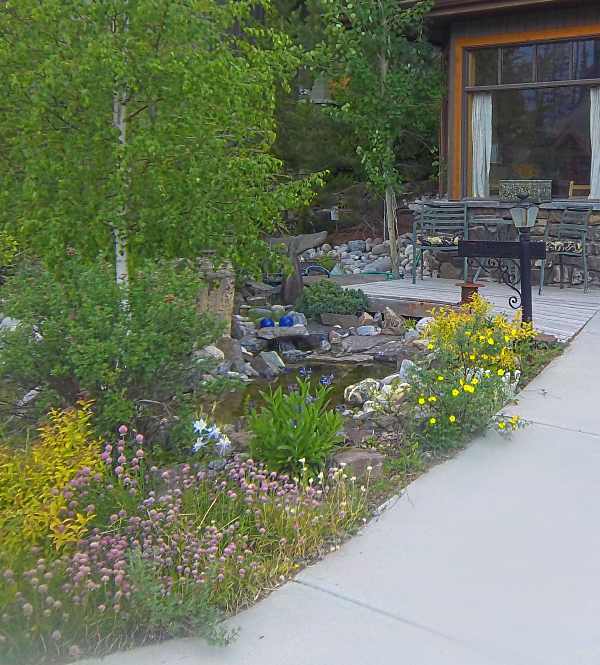 A small front yard walkway with symetrically balanced low maintenance beds. The use of balance is an important element of successful landscape designing. that wraps around the side of the house. pots add colour and fragrance. 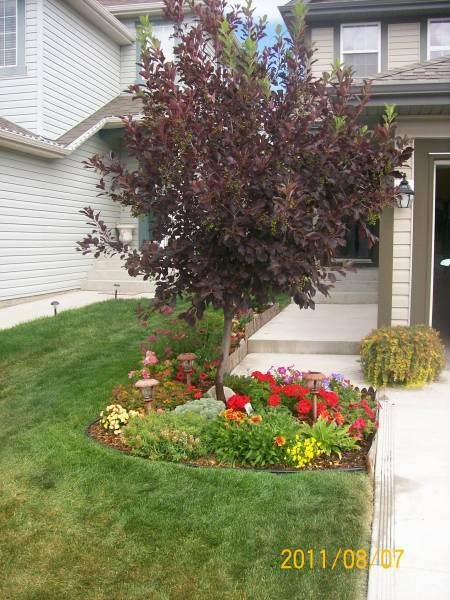 A nice mix of shrubs give color and life to this front garden bed. 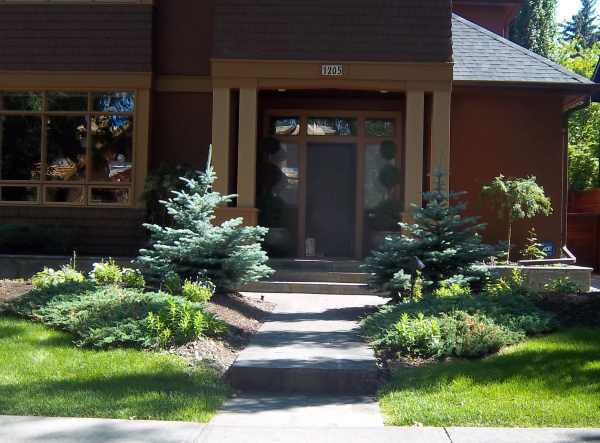 Front yard trees should be carefully selected for height, root systems, shade, and canopy width. 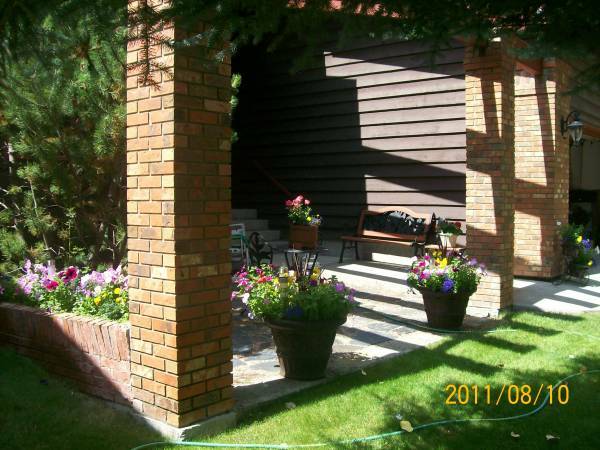 annuals and perennials, and small trees. 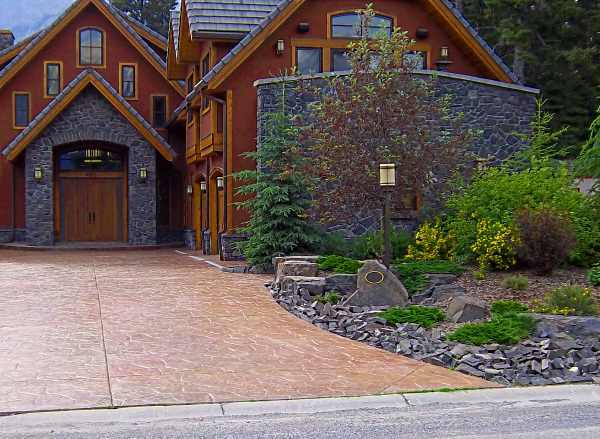 A stamped concrete driveway leads up to a beautiful home with a nice contrast of dark wood and stonework. 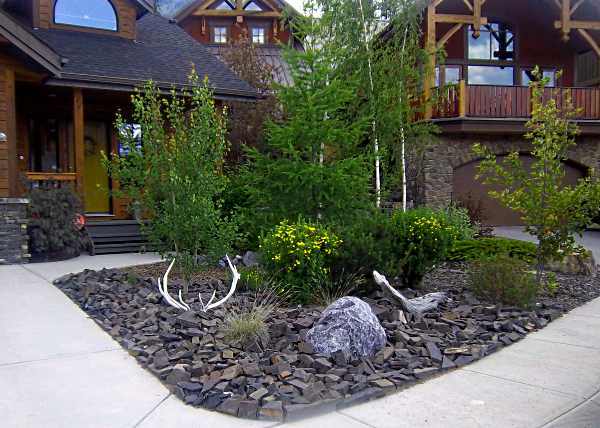 A simple low maintenance rock landscaping design compliments the home. very well from a sidewalk or roadway. A small front yard water feature is enjoyed from this small patio area. Native wild plants have been left to grow the way they intended. 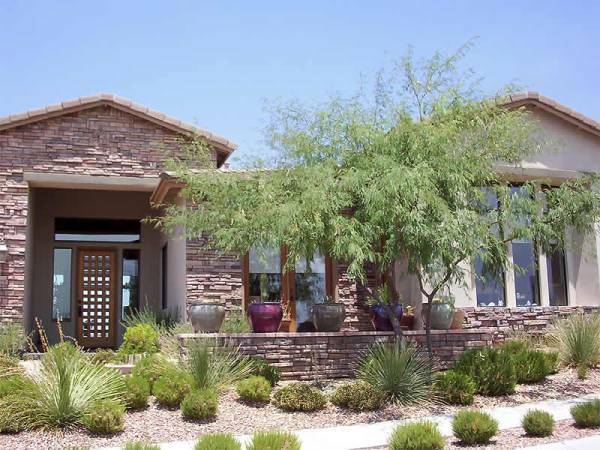 Informal natural gardens are becoming more popular and are more drought tolerant. 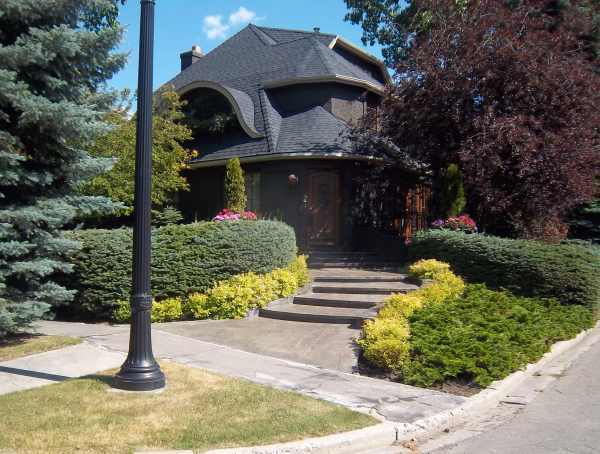 Beautiful corner lot landscaping with nice contour, shade, and privacy, but still a welcoming front entrance. Older neighborhoods are a great inspiration for your landscape designs. They allow you to see fully matured plants and trees before you choose them. 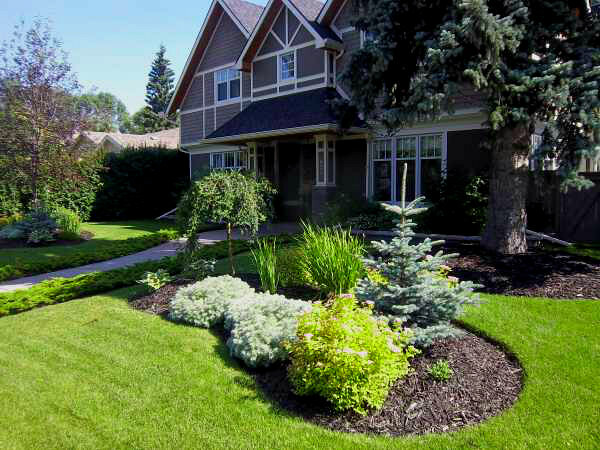 Larger front yards have more options when it comes to designing. 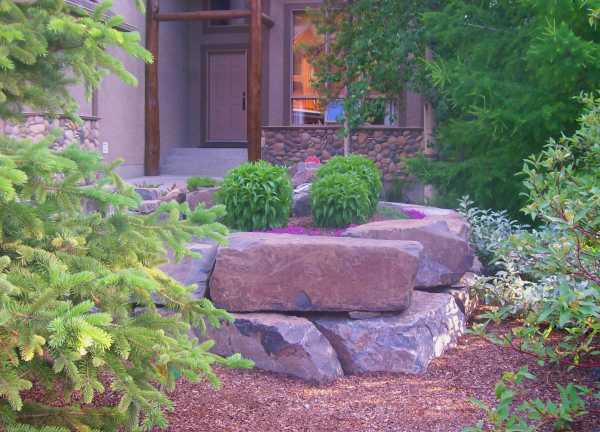 The slope in this yard was a great opportunity for a natural stonewall. with the same natural stone.